Randy L. Sitters, age 60 of Faribault, MN passed away peacefully after fighting a hard battle against cancer on Saturday, March 30, 2019 at his home with his wife, Victoria and Marine buddy, Steve by his side. Memorial services will be held on Saturday, April 6, 2019 at 4:00 p.m. at the Parker Kohl Funeral Home, 1725 Lyndale Ave. N., Faribault. Interment will be at the Fort Snelling National Cemetery in Minneapolis at a later date. Memorial visitation will be held on Saturday from 2:00 – 4:00 p.m. at the funeral home. Randy Lee was born on July 1, 1958 in Aitkin, MN to Donald and Marjorie (Dunlup) Sitters. He grew up on the East side of St. Paul attending Harding High School and later graduated from St. Mary’s University. Randy served in the U.S. Marine Corps from 1975 – 1978. He had lived in many places over his lifetime, most recently Eagan and Faribault. 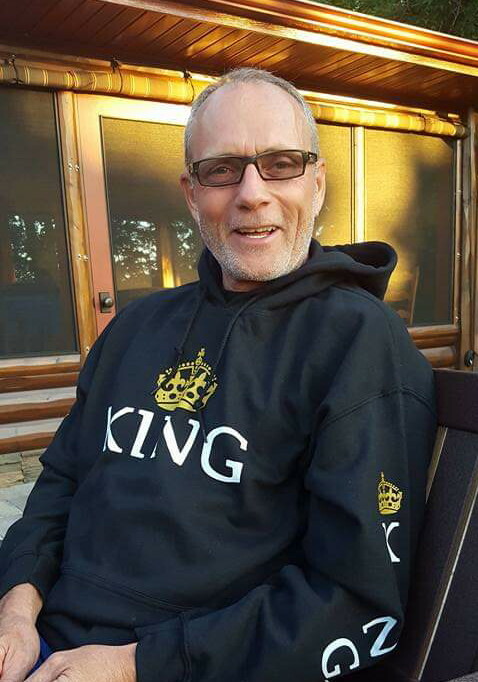 He was a proud member of Alcohol Anonymous and worked as a Program Director with Specialized Treatment Services. Randy was always up for a good challenge and adventure. He loved people, and made good friends along the way that were friends for life. He was working on his Masters Degree, teaching himself to play guitar, loved a good poker tournament, motorcycle rides, and spending time with his family. Randy was married to Victoria Hill on May 26, 2018 in Faribault. He is survived by his wife, Victoria; mother, Marjorie; daughter, Laci; five step-children, Kristopher, Kassie, Jade, Crystal, and Cole; sisters, Darilee (Walt), Lorilee (Tim), and Jodi (Greg); 11 nieces and nephews and many other relatives and friends. He was preceded in death by his father, Donald; sister, Merilee; brother, Donald; nephew Joshua; and step-father, Robert.